The State Hermitage Museum can be considered one of the most famous museums in the world with a truly breathtaking collection. The Hermitage in St. Petersburg is famous for its gallery representing world art, one of the most famous art museums in the world, and certainly one of the main attractions in St. Petersburg. The museum was founded in 1764, when Catherine the Great purchased a collection of 255 paintings from the German city of Berlin. 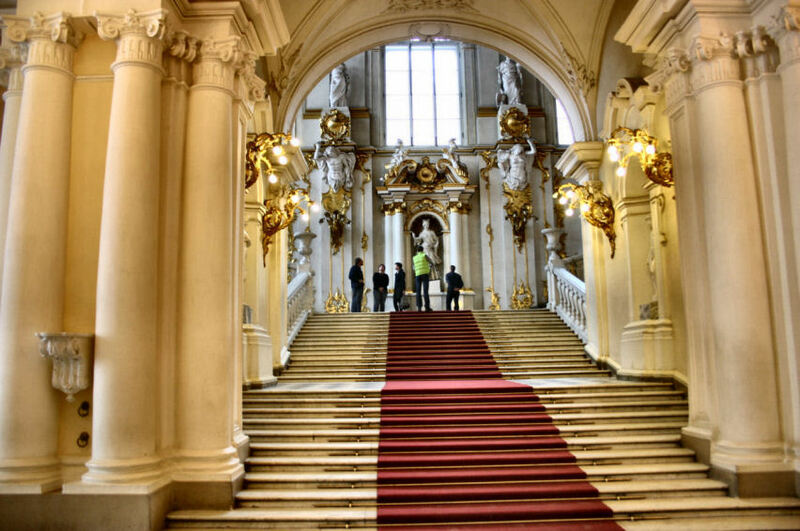 Today the State Hermitage Museum has more than 2.7 million exhibits and displays a variety of art and artifacts from around the world and throughout history (from Ancient Egypt to the early 20th century in Europe). The Hermitage collection includes works by Leonardo da Vinci, Michelangelo, Raphael, Titian, unique collections of Rembrandt and Rubens, many French Impressionist works by Renoir, Cezanne, Manet, Monet and Pissarro, numerous paintings by Van Gogh, Matisse, Gauguin and Rodin sculptures to name a few. The collection is vast and diverse, to create it required a years, and it is an essential aspect for all those interested in art and history. 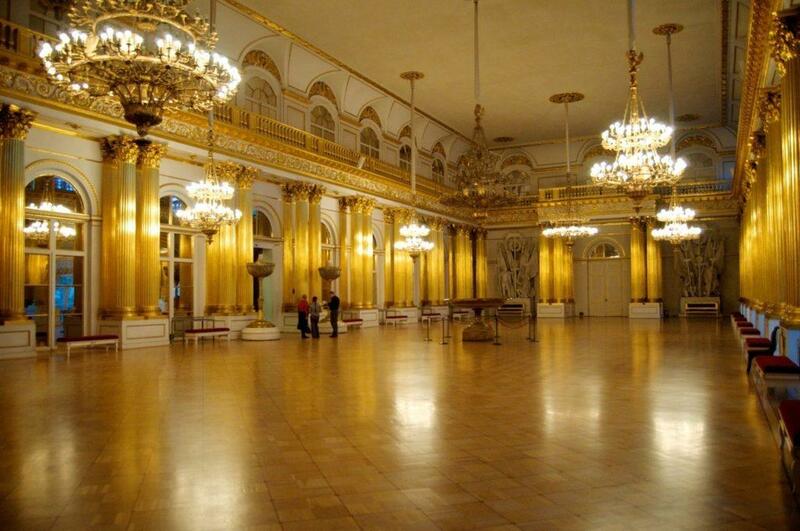 The main building of the Hermitage is the Winter Palace, which was once the main residence of Russian tsars. Superbly located on the banks of the Neva River, this green-and-white three-storey palace, a miracle of Baroque architecture, boasts 1786 doors, a thousand windows, and more than a thousand richly decorated halls and rooms, many of which are open to the public. 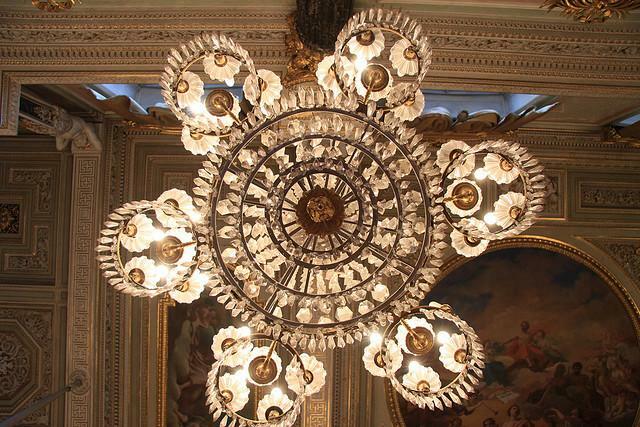 Winter Palace was built in Baroque style between 1754 and 1762. And its first inhabitant was Catherine the Great. Many of the impressive interiors of the palace were reconstructed after a huge fire destroyed part of the building in 1837. Some of the best Russian and foreign architects of the time worked painstakingly to create this imperial residence and is considered one of the finest and most splendid palaces in the world. The Hermitage collections are shown in the adjacent buildings that were built along the coast of the Neva River, they combine to form a huge museum complex: the Winter Palace, Small Hermitage, Old Hermitage and, finally, the New Hermitage. The State Hermitage Museum – a museum and a private theater, built by the tsars, is a beautifully designed amphitheatre, which still holds regular lectures, concerts, opera and ballet performances. Experts say that if you take one minute, looking at each exhibit on display at the Hermitage, you will need 11 years to inspect them all. With the possible exception of the Louvre, no museum in the world can be a contender for such an exceptional collection as the State Hermitage Museum in St. Petersburg, either in size or quality. Its collections are so large that it would take years to view them in full – at last count, there were about three million works on exhibit. The Hermitage is especially strong in Italian Renaissance and French Impressionism including an outstanding collection of works by Rembrandt, Picasso and Matisse. Visitors should also admire the fine collection of Greek and Roman antiquities, and art exhibits of Siberia and Central Asia. Not least among the attractions – as noted by everyone who visited the State Hermitage Museum in St. Petersburg is the museum itself, with its fine interiors and architectural details. The Hermitage – a museum of colossal proportions, which has such diverse and powerful expositions, and so appealing interiors that many visitors find that the best way to see the museum – is to make several short visits, rather than a hectic and exhausting marathon. The Hermitage museum and its origins can be traced to a private art collection of Peter the Great, who purchased numerous works during his travels abroad, and then hung them in his residence. Catherine the Great expanded the collection considerably, and she and her successors expanded the State Hermitage collection in large part, acquiring private collections of Western European aristocracy and the monarchy. By the time Nicholas II ascended the throne in 1894, the Hermitage in St. Petersburg was then the main city of Russia, and so, the Hermitage was the place of the greatest concentrations of art collections in Europe. 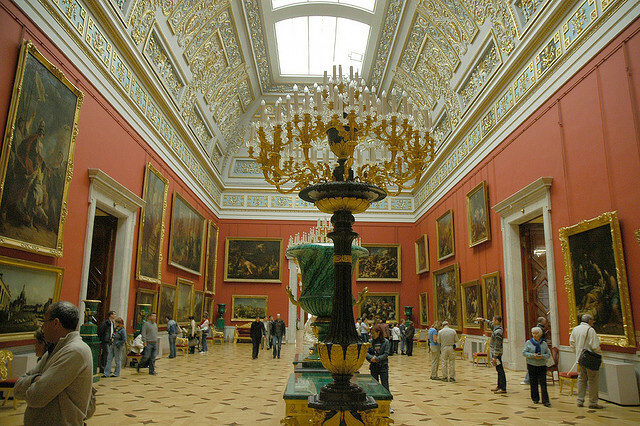 After the 1917 Revolution, the Hermitage was opened to the public, and the collection continued to grow at the expense of contemporary works from private collections. Today the Hermitage has periodical repairs and the collections are in the process of reorganization, and many works have become available for traveling exhibitions outside the country. The Winter Palace is undoubtedly the most famous construction site of imperial St. Petersburg, speaking not only as a residence of tsars and nobles for 1905 and 1917, but also as a domestic version of the Hermitage, the world’s largest art museum. The current structure was completed in 1762, and completed by Bartolomeo Rastrelli by order of Empress Elizabeth. The sumptuous Baroque facades, stretched for two hundred meters, the veritable cornucopia of pilasters, reliefs and sculptures. The Winter Palace was the winter residence for all rulers of Russia since Peter III, who lived there with his mistress, the Countess Vorontsov. After his wife, Catherine the Great, conquered the throne, she repaired and overhauled the old apartment of her husband. Although her son, Nicholas I lived in a modest apartment, his wife Alexandra settled in the luxurious Malachite Room, which was later be used as a location for the Provisional Government of Kerensky. Nicholas II also lived in this room until 1904, when he left the Winter Palace and moved to Tsarskoe Selo. In July 1917 the Provisional Government settled here, thus paving the way for the October Revolution. After consolidating his power, the Bolshevik government moved its capital to Moscow, and since that time the Winter Palace was mentioned only as part of a large complex called The Hermitage – St. Petersburg. The Hermitage museum is a must see attraction for visitors in St. Petersburg and having a city tour or shore excursion in St. Petersburg including the Hermitage is simply a must. Brian Schweitzer the author of “The Hermitage Museum in St Petersburg” is an internet marketing consultant, a world traveler, and recommends Dancing Bear Tours– Dancing Bear Tours is a family owned and operated private tour company in St. Petersburg Russia which offers private guided city tours and private VISA free shore excursions.